We’ve been serving the community for over a decade and love every moment of it. We provide chiropractic care, nutritional supplements and weight loss programs to help you achieve optimal health. We are here to encourage you in your health journey; we’re your biggest supporters. 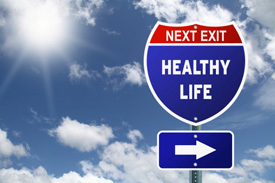 Andreas Chiropractic wants to help you get on the road to healthy life! We’ll make you feel comfortable, listen and get to know you. We’ll treat you naturally so your body can heal thoroughly. We’ll support you along the way, guiding you towards wellness. We’re a family-focused clinic here to help your entire family feel better. And, we love helping kids. Stay fit, and enjoy a life of wellness with our chiropractic care. Call us to know more.